Closed 4/22-4/24 organic SUPERFOOD BREAD made in Santa barbara. Scandinavian bread made from the best seasonal, organic superfood ingredients. Please scroll below to read more. Organic, Gluten-Free, Vegan and Regular fresh baked bread available for pickup or delivery. Available wholesale and to the public. Oat Bakery is a small, scandinavian, husband and wife owned bakery located in Santa Barbara. We specialize in organic, hand made, small batch breads that are healthy, nutritious and filled with seeds, local vegetables and organic grains. We use vegetables like spinach, carrots, green kale, edible flowers, fresh herbs, berries, seeds, nuts, and other healthy goods to a bread thats rich in protein and fiber that will keep you satisfied, healthy, and happy. All the doughs are fermented overnight and baked fresh every day at our bakery. Oat Bakery was inspired by Louise’s mom from Denmark and created by her daughter and son in law Lou Fontana. We believe that good bread, is healthy bread. Our goal is to change the entire view and way of eating bread by using local, good & organic ingredients and creating a better, more nutritious and innovative bread that's actually good for you. 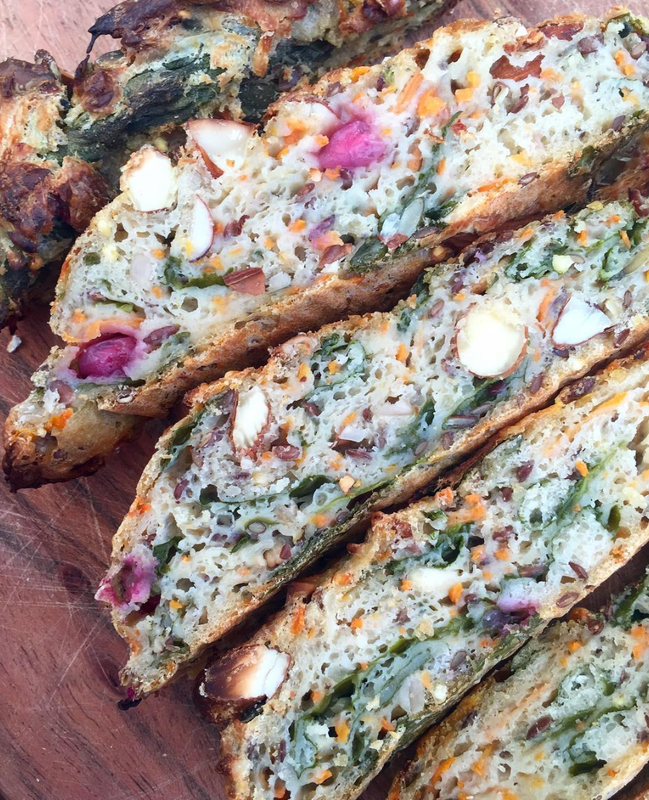 Our bread is 100% handmade and filled with veggies like spinach, carrot, kale, sage, basil, different nuts, whole grains and superfood ingredients. With a background as an professional athlete Else Ulrich has always kept a healthy lifestyle. Growing up in Denmark where the focus on health, nutrition and well-being is in focus it always came very natural for her to apply that to almost anything in daily life. Her passion for baking and her knowledge on health, mind and well-being is what makes this bread unlike any other out there.